When double clicking on an Excel Spreadsheet using Excel 2016 you may find that the spreadsheet doesn’t open and only a blank page is presented. 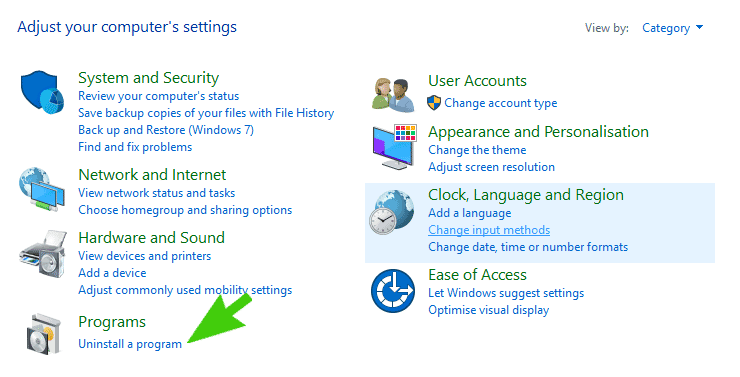 This behaviour can occur due to installing Office 2016 from Office 365 BEFORE uninstalling previous installations of Office. To resolve the issue, uninstall the previous version of Office and then do a full online repair of Office 2016 from the Windows control panel. 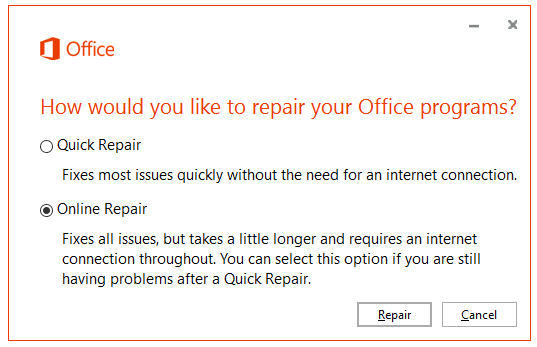 Note: This can also happen if you’ve installed Office 2016, realized that the previous version of Office hasn’t been upgraded / left in place and uninstalled it. If that’s the case you can simply perform an online repair starting at Step 4. Choose Online Repair and click on the Repair button.